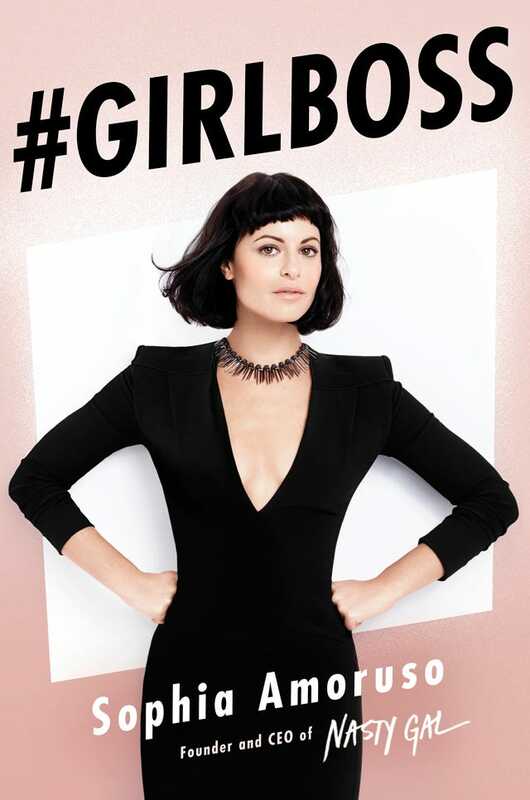 For the third installment of Blogger Book Club we read Sophia Amoruso's gem, "#GIRLBOSS". Amoruso's writing is witty and acerbic, but at the core she is authentic. Such brutal self deprecating honesty is refreshing from a business memoir. Her advice is useful for any industry and applicable to those with their own company or those working a 9 to 5. The entrepreneurial advice offered in "#GIRLBOSS" provides innumerable takeaways. I dogeared just about every other page. The memoir is a fast, easy read, but with genuine usable advice. To entice you into participating in November and December's read, I'm luring you once again with a giveaway. This time a copy of David Sedaris' "Holiday's on Ice" seemed apropos. Last Saturday my friend Emily and I trekked down to Seattle to hear Ms. Dunham read from the book she received a scandalous $3.6 million book advance to write. I've attended a few book readings in my time, but this was the first with not one but TWO opening acts. I could have done with more Lena and less pre Lena, but that's just me. Because clearly there's never enough Lena to satiate me. She predictably read from a few essays and conducted her own Q+A with pre-submitted questions from the audience. She was everything you'd imagine and more. Despite the event going by far too quickly, was it well worth the $77 I paid on Stubhub for my ticket? Well yes, because after I devour the book I'm going to put the autographed copy up for sale on eBay. The book, along with the party favor condoms I received from Planned Parenthood (a sponsor of the evening), should bring in a pretty penny, no? This month we're going behind the scenes with one of my beloved girls from Savannah, Michele "Madame C", of the divine floral design studio and boutique, Madame Chrysanthemum. Michele and I hit it off pretty instantly when I relocated to Savannah. Her shop was a mere block from my apartment, so it was a given I popped by way too often. She is extremely talented, so you MUST make her studio and boutique a not miss when visiting Savannah. Her blooms and arrangements are stunning and her eye for jewelry and decor is top shelf. Collects I am obsessed with collecting mugs from different cities all over the world. It keeps me connected to all the places I have visited in my past. Admires I admire people who have the ability to be completely honest and don't deal in BS. The world would be a better place if everyone subscribed to this theory. Weekend Pursuits Because I work all the time, to be able to actually go shopping, for my self is a valued adventure. Coffee or Tea English Breakfast Tea...But honestly would rather have a big tall glass of Chocolate Milk...My drink of choice since I was a little girl. Blooms of Choice Hyacinths are my all time favorite. Their scent is bewitching. Where I'd Rather Be Honestly, I love Savannah. I just wish I could live closer to the water. Can't Leave the House Without My orange lipstick and perfume. Without either, I feel completely naked. See why I adore her? !